A landfill is an irony that writes itself. But it is seldom read by those who create it. After hours spent surveying the polluted farmland and water sources in Mavallipura, I walked past two shallow trenches surrounded by the distinct smell of organic matter decomposing in interminable peace. “This is where we make manure,” a villager said. So it was a community compost pit that belonged to this tiny village. It was a pit that bound its villagers to their past. To their tradition of bonding with the community. To their gene-deep belief that what comes out of the soil must go back to it. No wonder why they still faithfully carry their own cloth bags to buy grocery from beyond their village. And, this is where the hidden currents of poison run beneath their feet. Their homes. This is where the restless rotting of over 40 lakh tonnes of garbage has been going on for over a decade. A glance around the misleadingly serene and duplicitously green surroundings reveals one thing for sure: You hardly find plastic or any other hazardous waste dumped carelessly. If anything, it’s only the damaged crops that find their way back to the soil in a form no farmer would ever wish to see. 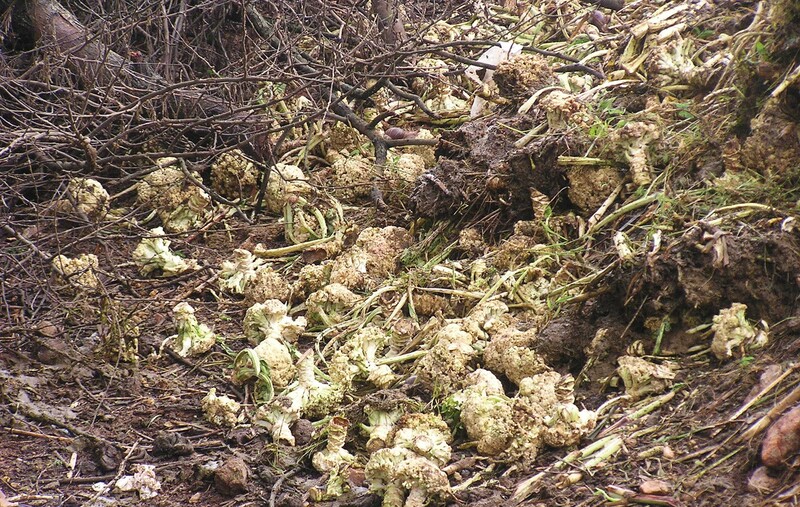 One distressed farmer who lost his cauliflower crop to pest attacks had dumped the entire lot in another pit hoping that the soil—which couldn’t save it when it was alive—would somehow remedy it after its demise. It takes no connoisseur of fine irony to see this blend of the grotesque and the tragic. But, as I said, every irony is waiting to be acknowledged when no one wants to spare a glance at it. This one, too. What a scorching irony! 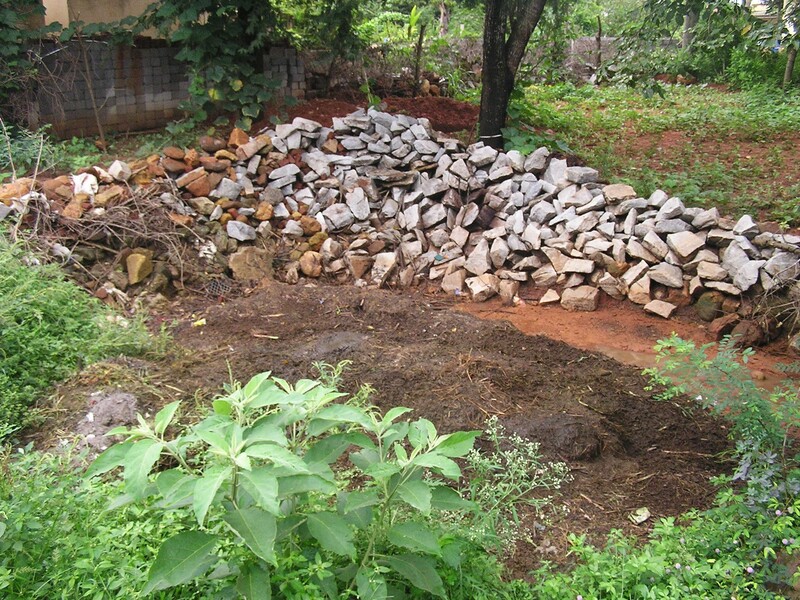 This entry was posted in Candid Comments, Endlessly Green and tagged Mavallipura landfill. Bookmark the permalink. i m sorry but I didnt get this line: And, this is where the hidden currents of poison run beneath their feet. Their homes. This is where the restless rotting of over 40 lakh tonnes of garbage has been going on for over a decade. did u mean the dumping that is happening near this village or the ones they were doing? Maybe the first is right! Yes, the dumping of huge amounts of garbage went on for 10 years (2002-12) in this village which is just a couple of hundreds of metres away from the festering landfill. Certain previous blogpost have explored these details in depth.